The Android 9 Pie update adds a beta version of the DigitalWellbeing app that measures how often an Android device owner is using a particular app. And iOS owners have the ScreenTime app that launched with iOS 12, also designed to stun users by alerting them to how many hours in a day they might be watching YouTube, or any other app. Both "dashboards" can be set to prevent certain apps from running after the user reaches a pre-determined usage cap during the course of a day. 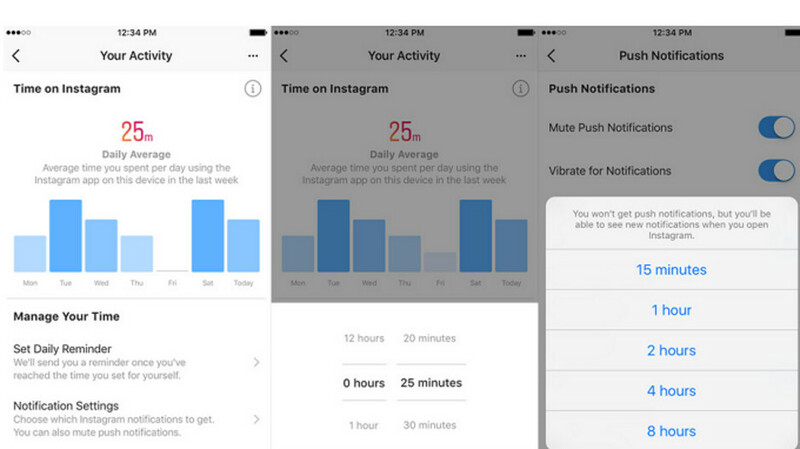 Now, as detailed by The Verge, Instagram has started rolling out an app called "Your Activity," which also allows Instagram users to measure and cap the amount of time they spend daily with the app. It also allows them to temporarily stop push notifications from being sent out. Once your phone receives the Instagram update, you can access the feature by tapping on the hamburger menu found on the profile page at the top upper right corner. From there, look for "Your Activity." Like the "Your time on Facebook" dashboard expected to be released soon by Instagram's corporate parent, "Your Activity" will display the amount of time members have spent on the Instagram app over a seven-day period. It also will quiet those push notifications that are often distracting. These days, we would have to say that spending too much time on Facebook and or Twitter could end up causing some psychological damage to users. Instagram may not have reached that level yet, but it might be wise for members to lower their usage of the app if they find themselves unable to extricate themselves from Instagram even while unwinding after a typical day.